Well, if it is off-season in your city, it is never off-season in Miami. 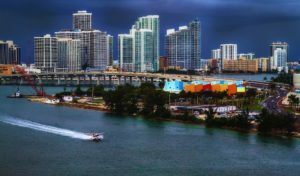 Winter in Miami means lovely weather, a variety of fun festivals and a very busy events calendar for the sunny state city. Moving to Florida will not be a challenge as you would expect. Packed with colorful events that bring communities together, Miami will surely please every taste. We’ve prepared for you a calendar of Miami happenings in the three-month span after New Year. What to expect when moving during the winter in Miami? If you live in Minnesota or North Dakota and you are relocating to Florida in winter, don’t pack up all your summer clothes. Don’t forget your dressier outfits for that matter, because when you arrive in Miami, you are in for a heat wave. While the rest of the USA shovels their driveways, Miami locals can finally get out of the air-conditioned condos. The summer heat has receded and it is time for the people to enjoy their city. 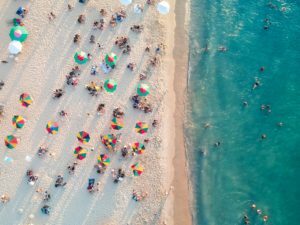 It is time to hit some of the best beaches in America and the best rooftop bars in Miami. 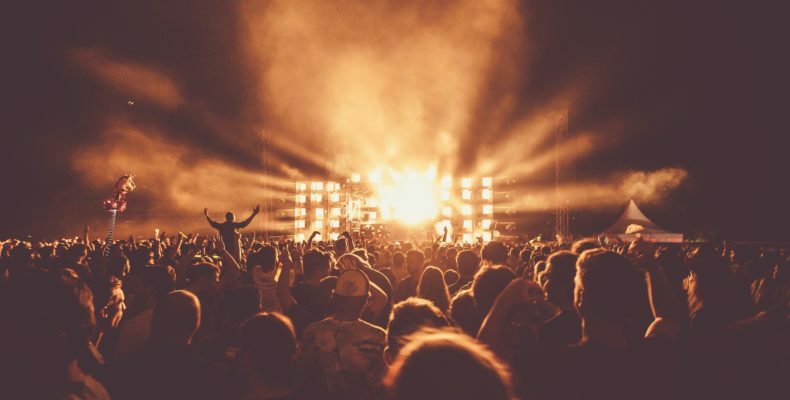 The biggest festivals, concerts and parties of the year occur in January, February and March. So if you were low on energy in your old home, you are going to get plenty of buzz in your new one. Winter in Miami is spring in Main or summer in Alaska. If you happen to be moving during the holidays, we are here for you. Read up on our advice an prepare your move accordingly. Leave some summer clothes in your carry on. Heck, even keep your bathing suit near. You can always unpack later, but winter in Miami means fun so also behave accordingly. This is one of the first events you will be able and should visit. Fairchild Tropical Botanic Garden becomes a fantasy land when it hosts the neon psychedelic party in January. 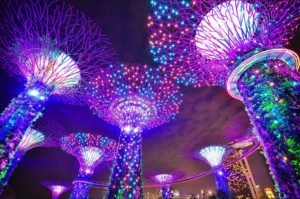 The NightGarden is a pop-up that transforms the green oasis into a colorful and bright stage for talking trees, mazes, scavenger hunts, glowing dandelion fields and light shows. And this is just the beginning. Remember, Miami offers endless fun as a city where you can dance 24/7. Winter in Miami comes in neon colours! Miami is world famous because of a lot of things, such as above mentioned 24h dancing. Let’s not forget the beaches and cocktails. But it is not all pass time in Miami. Its evergreen architecture has made news around the globe as well. The most famous design style of the 20th century gets its very own celebration during the Art Deco Weekend. Beautiful facades are celebrated with over 80 events in the streets of Miami. You can hear live music, lectures, walking tours, see fashion shows and art exhibitions. 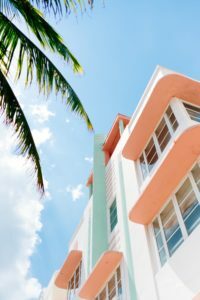 Art Deco is one of the symbols of Miami. One of the world’s largest paint parties visits Miami once again. The artists have not been announced yet but we can expect the A list superstars and rappers. In the past seasons, the audience could listen to Zedd, 21 Savage, Lil Pump. The fun event is an open-air pool party with shiny neon paint being thrown all over the place. Wet and wild winter in Miami. Another fun event takes place in the Fairchild Tropical Botanic Garden. This time the celebration is dedicated to the magic cocoa bean. Well, it is not actually magical, but it is cocoa – It deserves all the praise. The star of the show is chocolate of course. 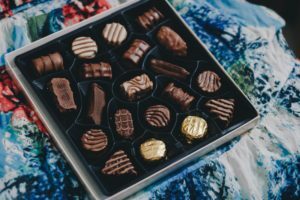 If you visit this festival, you’ll get to taste yummy samples from artisan chocolatiers, hear all about chocolate’s history and part take in all sorts of sweet demonstrations. Magic, we tell ya. Gulf stream Park is hosting a $9 million horse race this winter. Even if you are not keen on equestrian sports, we recommend it. Thousands of locals will enjoy in the atmosphere or the party hosted by LIV’s David Grutman. Last year’s event is still talked about. One of Miami’s most popular racing events, but not the only one. If you were too cooped up in your house because of the cleaning and packing, maybe this is the time to stretch your feet. The race starts in some very scenic neighborhoods, from Bayfront Park to Coconut Grove and Key Biscayne. Check if those are your new neighborhoods. III Points Music, Art & Tech Fest was created In Miami and is in its sixth year. It was moved to February in order to avoid the hurricane season. Now the rain will never again ruin the world famous Miami party. Some of the headliners are A$AP Rocky, SZA, Beach House, Tyler, the Creator and James Blake. Celebrity chefs are making the sands of South Beach Miami’s biggest and most famous food venue. Well, not literally, but be prepared for a big beach picnic. There will be burger battles and more gourmet courses than you can taste. The wine will be there too. In Miami, you’ll never have to worry about winter again! Whether you want to buy, upgrade your marine gear or simply imagine buying a yacht someday, the Miami International Boat Show will offer an exquisite range of possibilities. The five-day boat show takes place at the historic Miami Marine Stadium. There is an option for a VIP pass for access to the special VIP tent. Unleash your inner mariner. Winter in Miami even offers a boating experience. An arts festival is a great place to take your whole family. Even if they are not into arts and crafts, everybody will find something for themselves. Coconut Grove is an outdoor event with music, food and art for the three-day fest. This lively art scene is surely one of the top five reasons to move to Miami. Check out outstanding work from over 260 artists while tasting local cuisine – homemade. Colourful, fun, proud, vibrant. A festival with its fourth year in a row, Gay8, brightens up the streets of Little Havana for a celebration of Miami’s Latino LGBTQ culture. And what a rich culture, with so many remarkable subcultures! You can find food there, don’t act surprised, but also music, art and pride marching down Calle Ocho in a wonderful rainbow of colors. 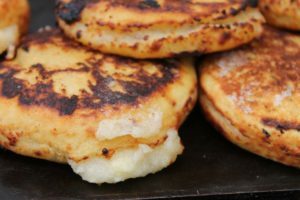 Corn arepas from Latin Street food. Sometime after the Gay8, Calle Ocho stops for Miami’Eights huge Street fair. Eight stages offer a variety of live performances, street food such as pork and arepas that celebrate Latin pride. It is really a celebration of Miami’s diversity.